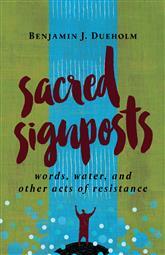 Excellent review of Sacred Signposts by Isaac Smith with bonus Stoppard quote! THOMASINA: Oh, Septimus! — can you bear it? All the lost plays of the Athenians! Two hundred at least by Aeschylus, Sophocles, Euripides — thousands of poems — Aristotle’s own library…. How can we sleep for grief? SEPTIMUS: By counting our stock.